Healthy Lifestyle Advisor helping busy executives and business owners to revamp their work-life habits to achieve their dream body, reach their life goals, and crush it at work. I'm hired to provide support, accountability, and motivation for healthy lifestyle transitions at various levels depending upon your starting point and how much support you need. 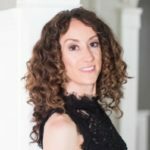 I offer 3 levels of signature programs, from a simple one week experience to jumpstart your goals all the way to a high-end VIP, done-for-you transformational weekend retreat that includes an overhaul of both your home kitchen and your business environments (the two places where you likely spend most of your days). Have a long list of projects, goals, and habits to tackle? Just pick one (or I can help you decide if that is, in itself, your sticking point) and let's get an action plan mapped out and started for YOU! Starting is sometimes the hardest part but I provide you with that beginning momentum by applying my core strengths of easily seeing the root cause(s) of an issue or block, quickly putting together a doable action plan customized to you and your starting point, and then providing just the right level of push to get – and keep! – you going. All with humor, style, and grace. You will laugh and enjoy the process, I promise! I spent over 20 years climbing the corporate ladder in various work environments and know the toll it can take on your mindset, body, and happiness and have learned to navigate even the most toxic of them. Aren't you worth the best? Don't you want to be able to retire healthy? There are no right or wrong answers in life. Just choices, compromises, and trade-offs. You have limited time, resources, energy, and brain space. Life is YOUR call. YOU get to decide. You are the CEO of YOU. Ready to get started? Message me.